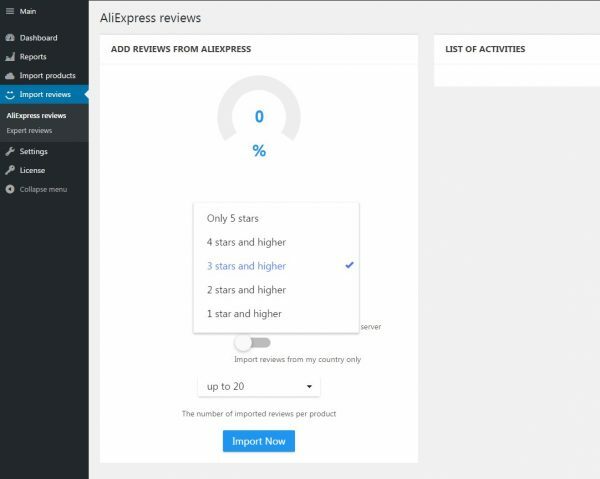 Choose AliExpress reviews and filter them by stars. 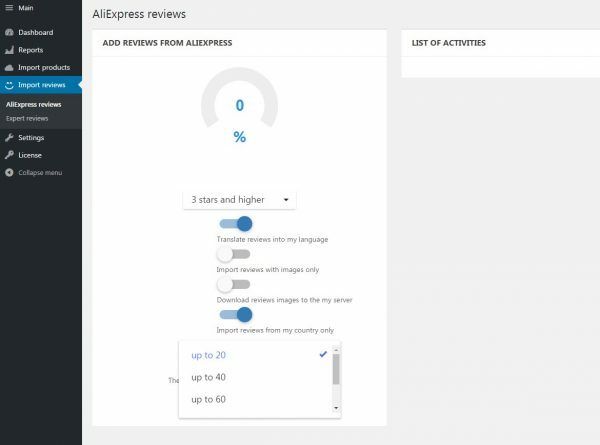 You can also translate reviews into your language, import reviews with images only, download reviews images to your server or import reviews from your country only. 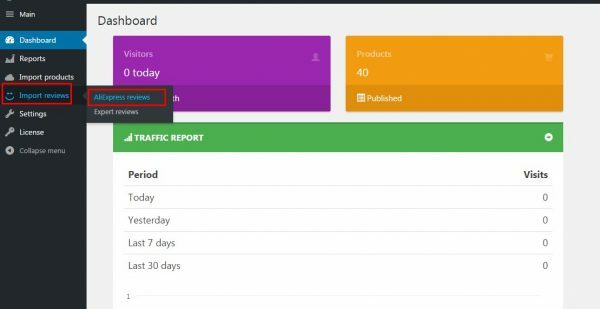 You can import up to 20, 40 or 60 reviews per product. Click Import Now button to start import. You will see the progress in the list of activities.